This is probably the longest running staple item we have, how can you go wrong with a Tuxedo shirt for formal and not so formal events. This shirt will out live us all. Wing collar by far is the most popular style. This is a proven garment with high customer satisfaction. Stock is typically very good across all sizes and colors. When ordering in volume it is always a good idea to order samples first. Tuxedo shirts are iconic. They fit with any formal occasion and are the best choice when you want impress your guests or create an atmosphere of professionalism and luxury. At Sharper Uniforms, we carry tuxedo shirts for men and tuxedo shirts for women that are designed to be a classic. With flattering silhouettes, these tuxedo shirts are guaranteed to give you the upscale look you�re going for. Made from 65% cotton and 35% polyester, these tuxedo shirts for men are available in Wing Tip in 1/4 or 1/8 inch pleats. Each shirt has convertible cuffs, black plastic studs, and clear buttons. Did we mention that these tuxedo shirts are machine washable? It�s no wonder that this is one of our most popular shirts. Love these tuxedo shirts for men? You can also check out our tuxedo shirts for women! Shirts come with both regular buttons and studs. The studs on the black shirt are white. 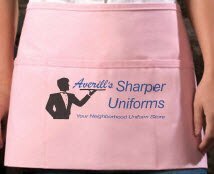 Averill's Sharper Uniform's Customization services consist of Logo Embroidery, Silk Screening, Heat Seal Transfers, and Custom Aprons/Garments. 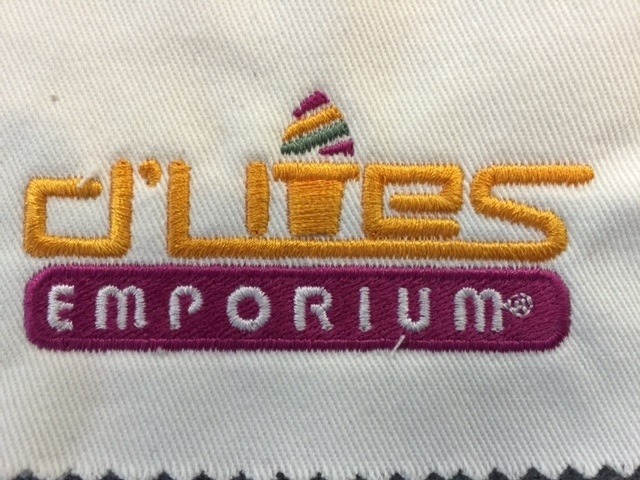 Brand your logo on all your garments and hats with eye popping embroidery that your customers won't forget! Embroidery Services require a 12 piece minimum. 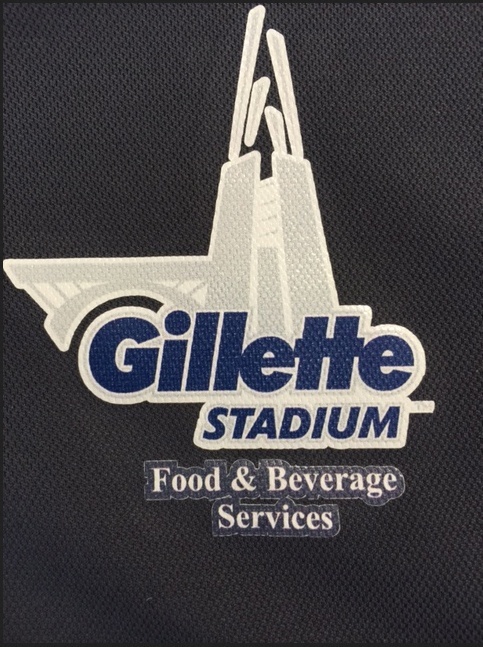 Make sure your customers remember your venue with your logo Screen Printed crisp and clear on all your garments! Screen Printing Services require a 24 piece minimum. When you require very fine detail for branding your logo, Heat Seal Transfers are the way to go! Heat Seal Transfer Services require a 24 piece minimum. Choose your style, color, length, and number of pockets for your unique aprons that your customers won't forget! 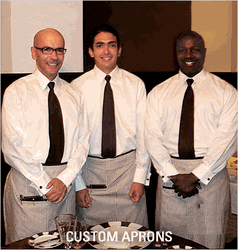 Custom Aprons require a 40 piece minimum.